Finished projects are manufactured to your specifications. We offer highly competitive pricing and door to door delivery. 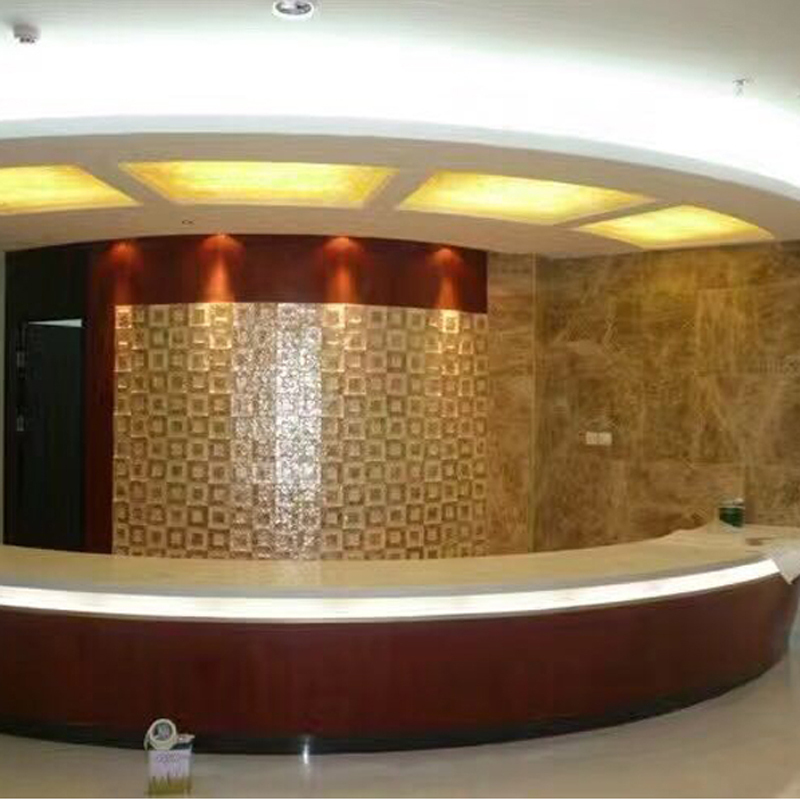 We are known for creating highly custom projects with superb workmanship. We come to search for shells along the shore, and discover a myriad of shapes and colors. A fisherman draws in his net and finds treasures for his children. A family in a distant land gathers mollusks for their daily meal. Harvesters gather their shells, destined for a chef in Manhattan and also for an artistic wonder...seashell decor. What once adorned the sands of the sea can now incite you, your clients and guests with beauty and wonder. 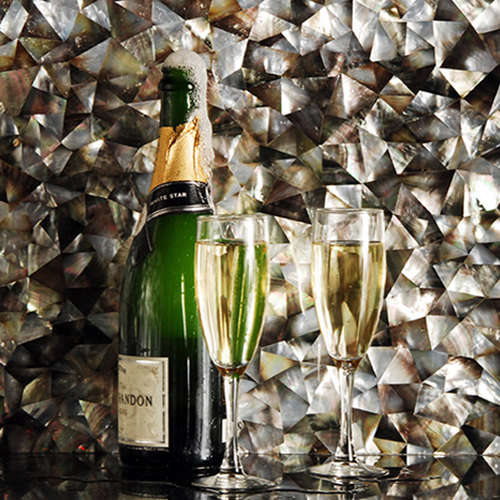 Customize your environment with shell flooring that sparkles or shower walls that radiate a warm glow. 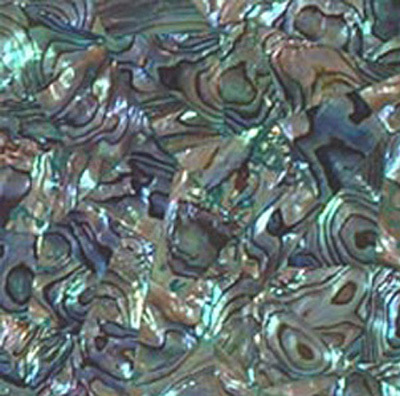 Iridescent shells change color as you cross the room...and cause a sparkle similar to the rainbow effect of opal. 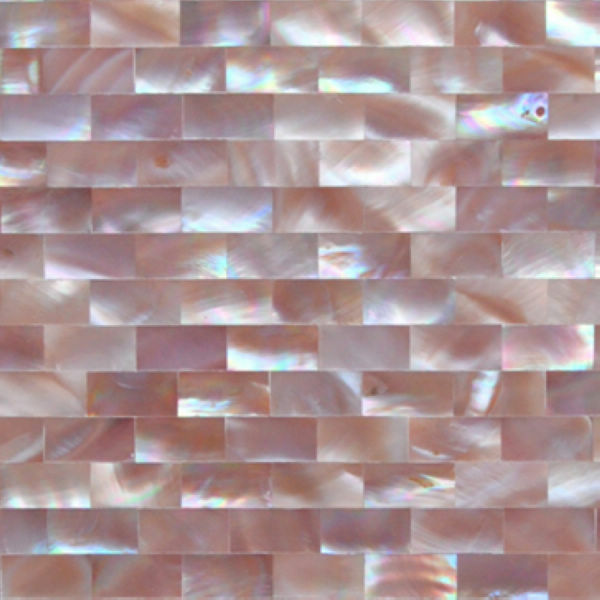 Our shells are available in virtually all species and in a wide variety of standard patterns, with an optional crackle finish (all shells except Capiz). This gives you virtually unlimited choices. Shells are very durable. 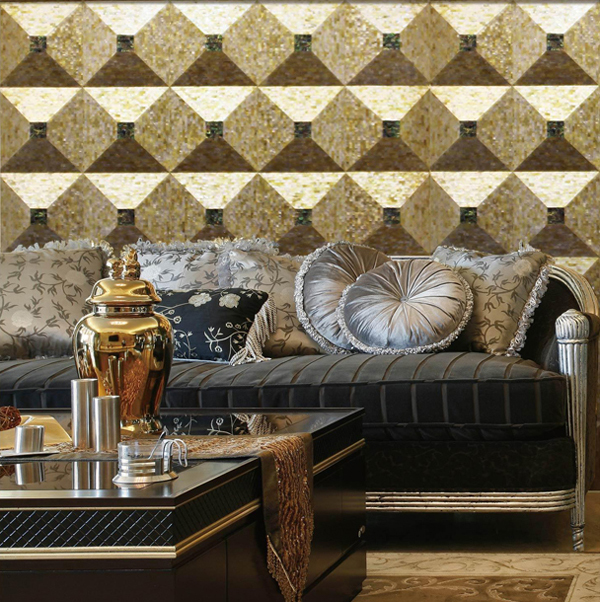 Clad your walls for a lifetime! Art and Design? 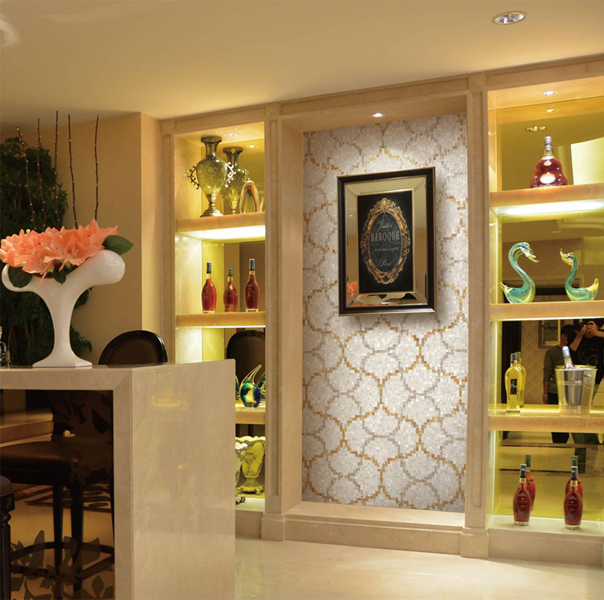 Our fine artisans have the ability to create a custom mural or design fit for royalty. 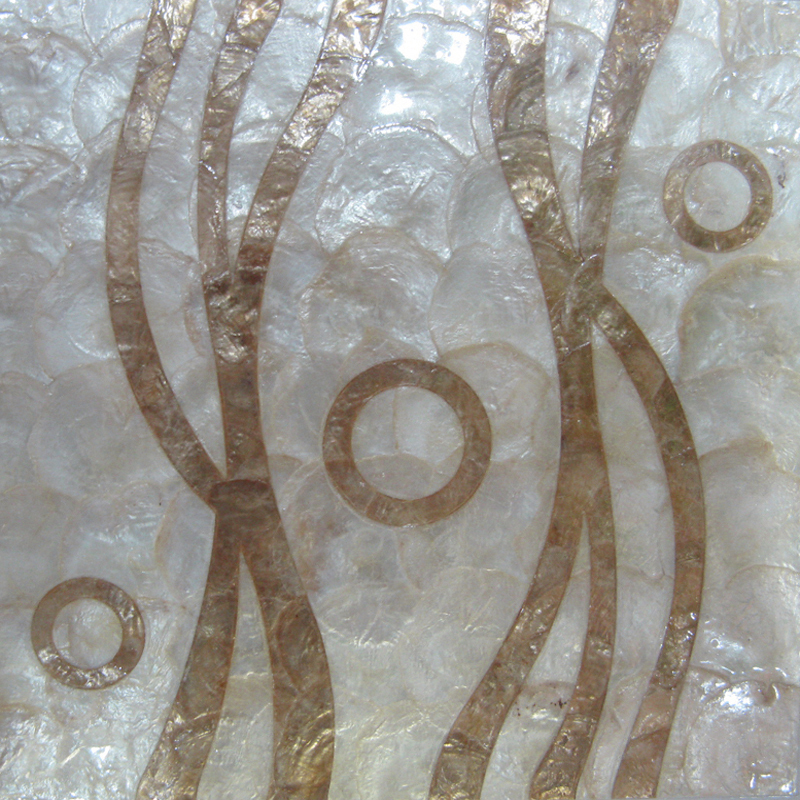 We create artwork using shell by combining different types and shades of shell together to create a custom pattern. 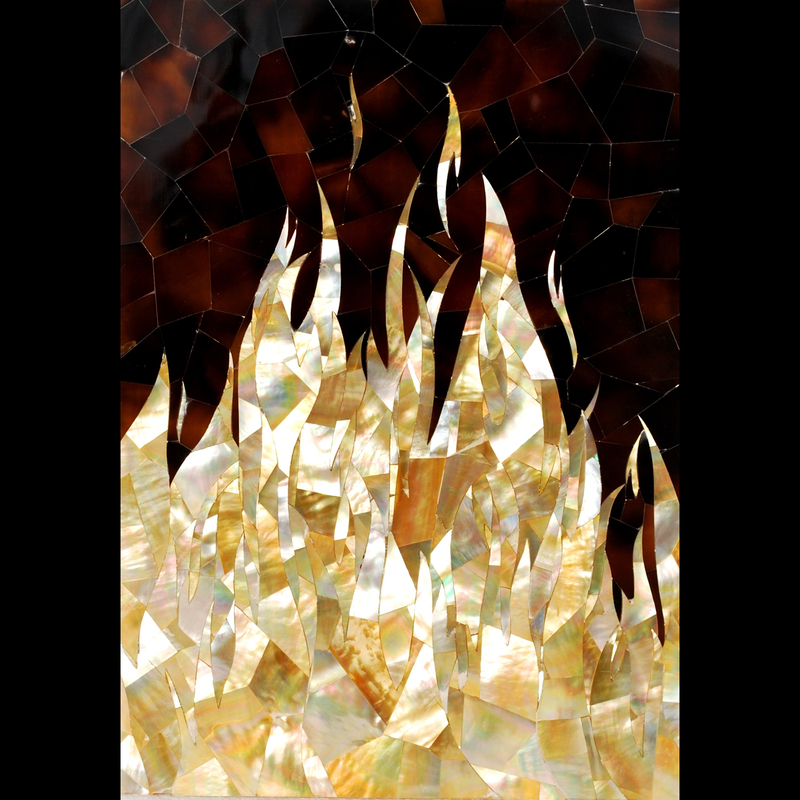 This art may be either mosaic with a grout joint or seamless. 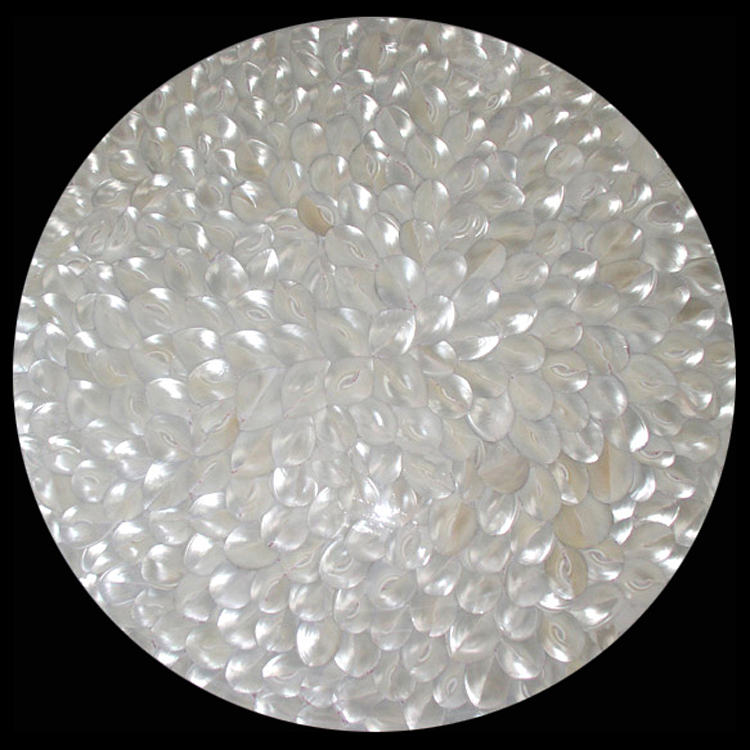 We also inlay semi precious gemstone with seashell to create a custom tabletop or artistic wall panel and are able to custom shape fiberglass and overlay it with crackled seashell to create wall sculptures. Décor? 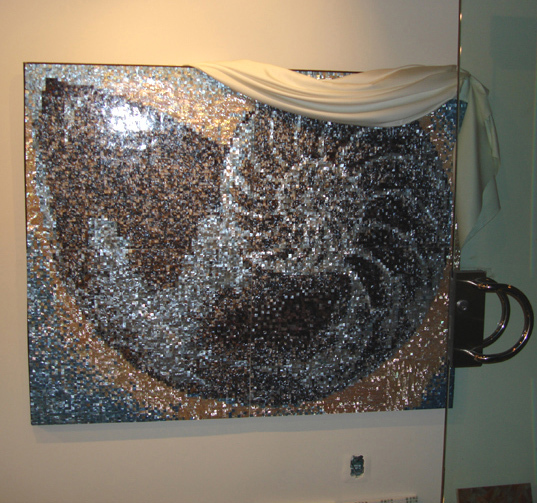 Custom mirrors, furniture clad in seashell…even door frames or baseboards covered in shell. Dare to create. Entire floor, wall or ceiling coverage is possible. 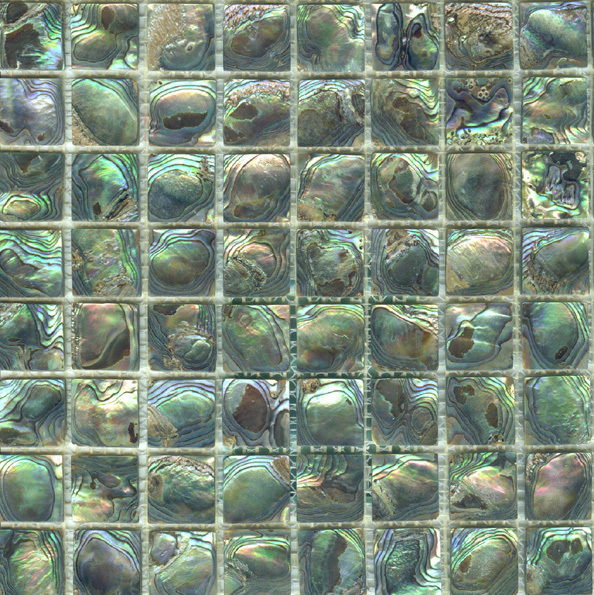 Agape Tile offers the rarest shell choices in a large variety of fully customizable formats: seamless seashell mesh sheeting with no grout joints, tiles and borders, mosaics, slabs, medallions, tabletops, countertops, vanity tops, integral backsplashes, tub surrounds, sinks, baseboards or inserts. 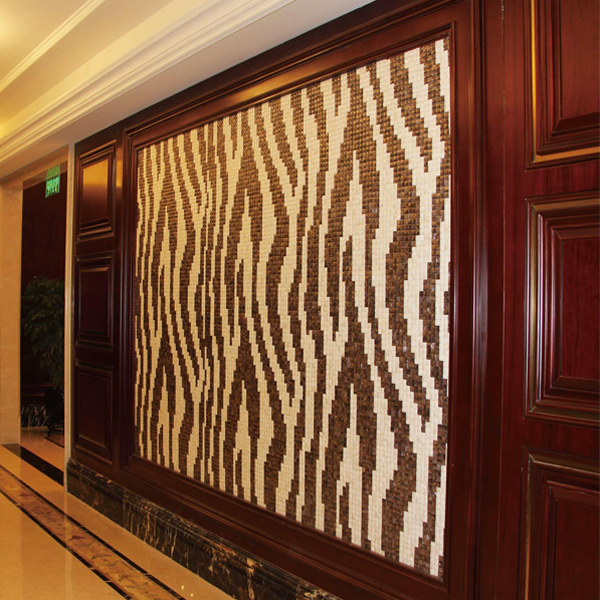 All seashell projects may be customized in every way: shape, thickness, mosaic size and pattern, color, edge profiles and material combinations. Backings available are porcelain, mesh, solid or honeycomb aluminum and fiberglass. Whatever you can envision, we can produce. 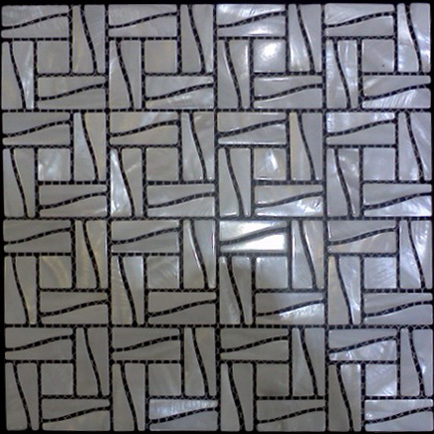 Agape Tile is the U.S. 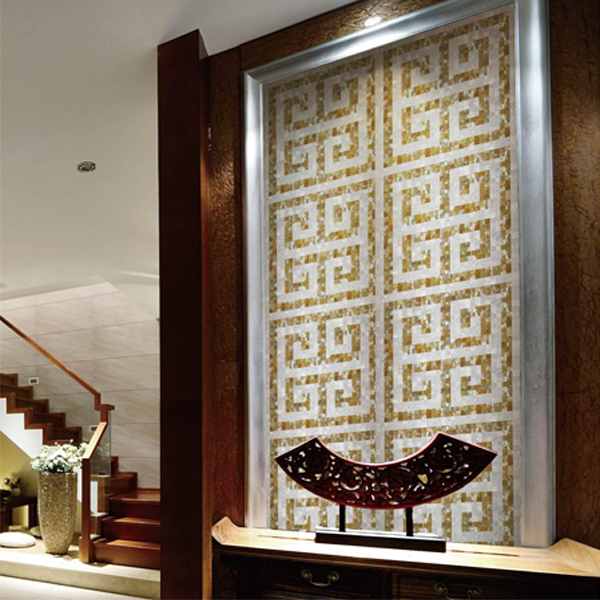 Distributor for both Mactan Shell Tile & Mosaics from the Philippines and also Abaneri / Aqua Imperial of Delhi, India. 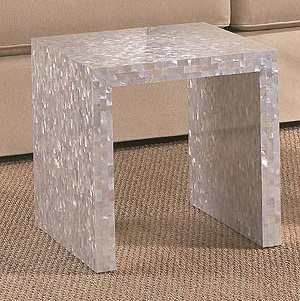 Both manufacturers offer products that are of premium quality. Only the finest materials are used. We recommend that you order a sample to compare to other companies, should you be looking for the best of the best. 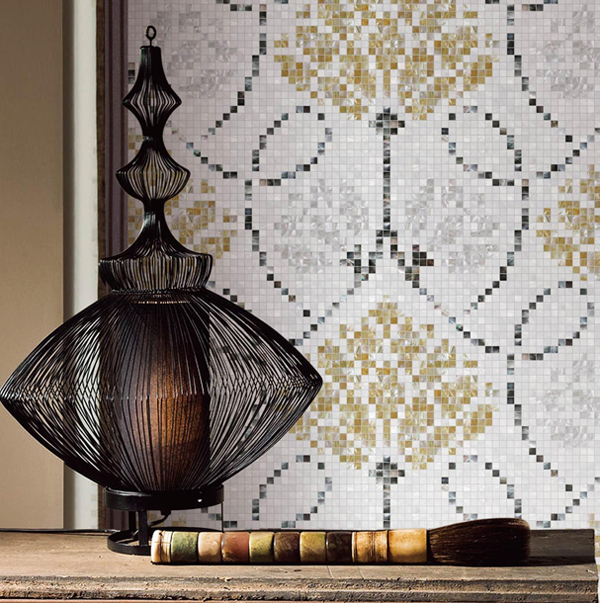 Our personal line is Agape Tesoro del Mar shell mosaics and seamless tiles, borders and panels. 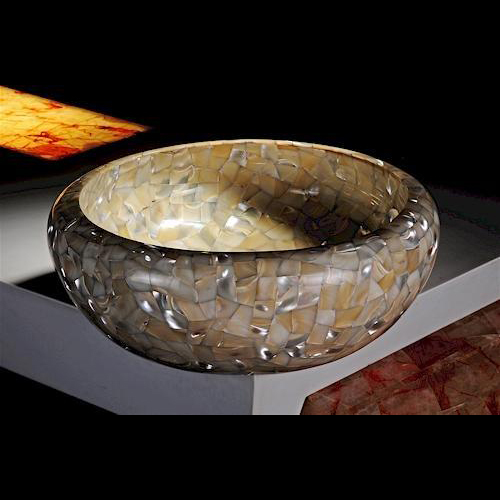 All shell products are hand-crafted using an environmentally friendly process. Products are created from discarded shells originally harvested as a food source or from shell farms. These shells are indigenous to the area and are not among an endangered species. 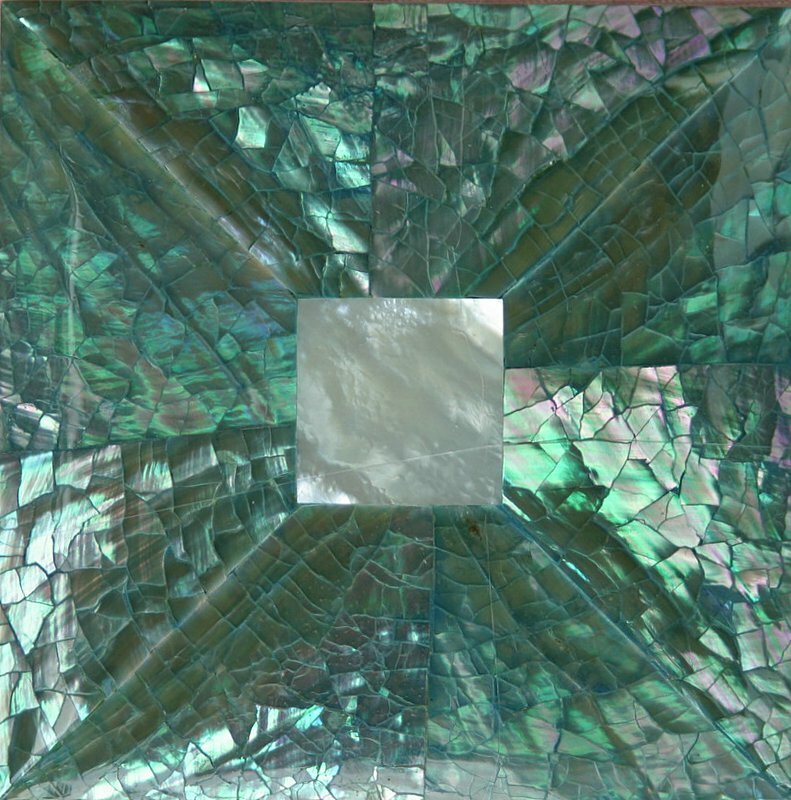 The Principals of Agape Tile have been involved in creating glass projects for over 25 years, and have been responsible for the artistic design and creation of glass projects within the continental United States, Hawaii, Dubai and the Caribbean. Our expertise makes us uniquely qualified to provide ​highly specialized advice and artistic design services. We put our twenty plus years of experience in the field of hard surface mural creation, design and installation to work for our clients. Our team offers sound advice on materials: longevity, limitations and techniques. We will also review your design possibilities, theme and color choices. 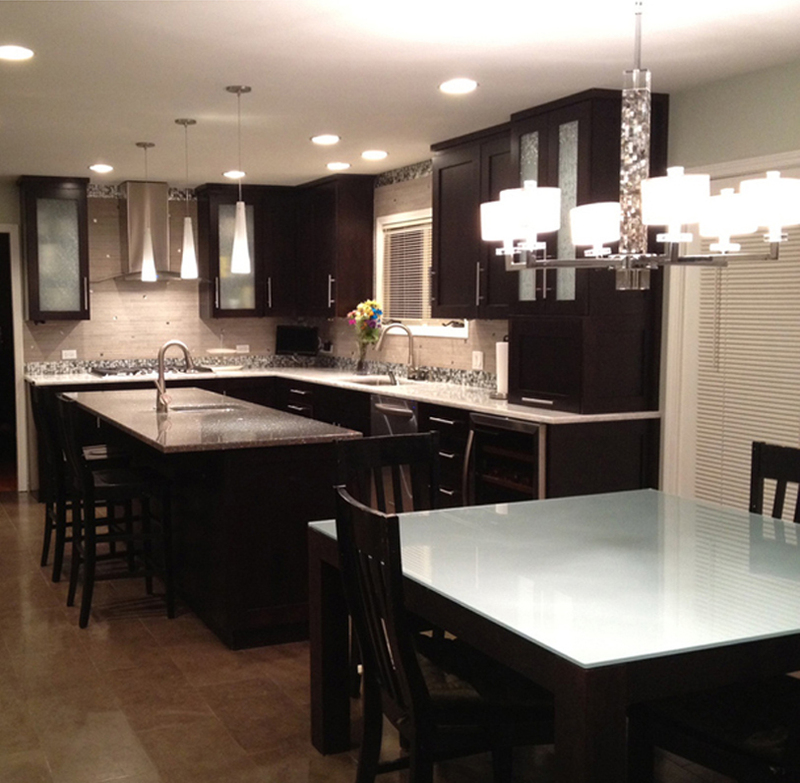 Our design team will be fully involved with your project from concept to completion. Our track record provides testimony to decades of successfully addressing project budgets and the timely satisfactory completion of services. You may reach us by calling 239-454-8453. We look forward to speaking with you! Note: We do not sell Nautilus shell materials. This is an ancient species from the dawn of time. Having survived relatively unchanged for millions of years, the chambered nautilus is considered to be a living fossil. The nautilus also has a distinct personality and a memory. We feel that it is a crime to harm an animal such as this. Continued harvesting of this shell will eventually result in it being placed on the endangered species list.